This is why I'm opposed to mixed race sports. I mean, what chance does a human have against a centaur in a footrace? 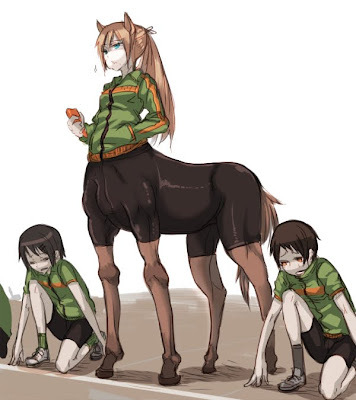 I was just looking for pictures of centaurs and it came up in google image search, don't recall the site.